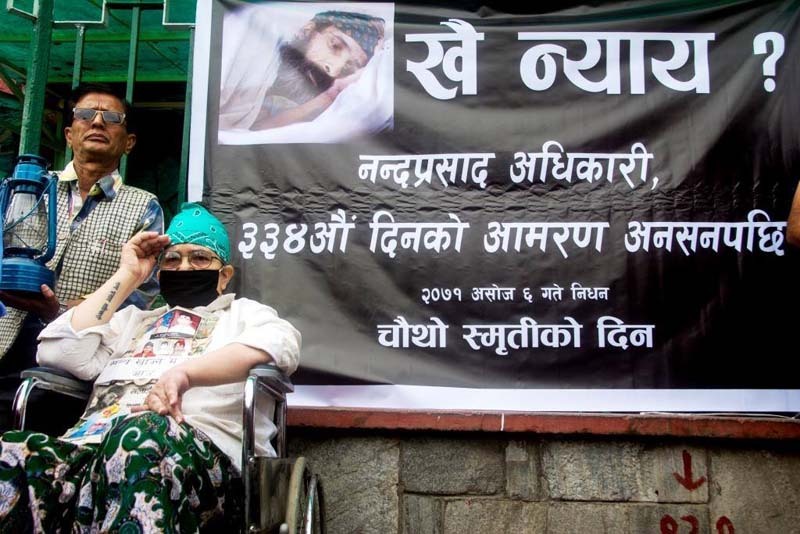 The rights activists and campaigners have demanded the justice for Ganga Maya of Gorkha Phujel on September while marking fourth death anniversary of Nanda Prasad Adhikari who died during the hunger strike after 334 days on September 22, 2014. Indra Prasad Aryal, chairperson of HURON complained that state is plotting conspiracy despite of supporting conflict victims on delivering justice. 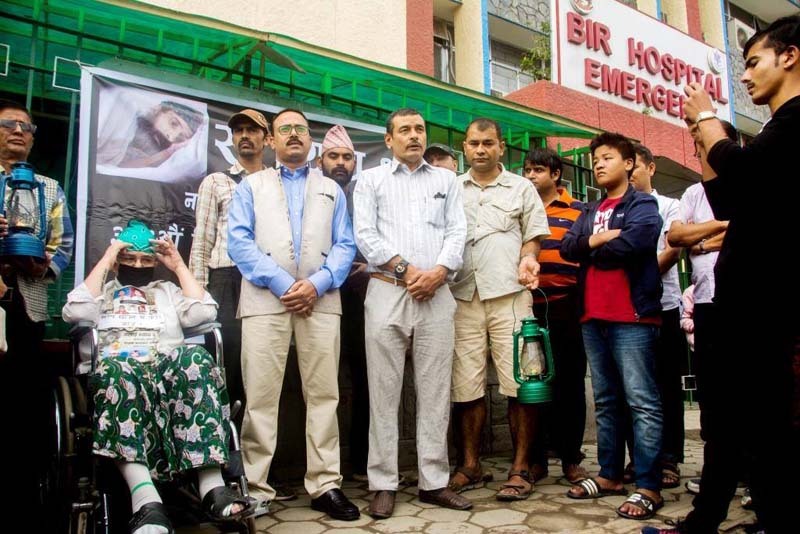 The campaigners also accused government on failing to create environment to do a final rites of Nanda Prasad Adhikari. His body is still in a box in teaching hospital. During the program, Ganga Maya said that she will fight until the justice is not delivered. 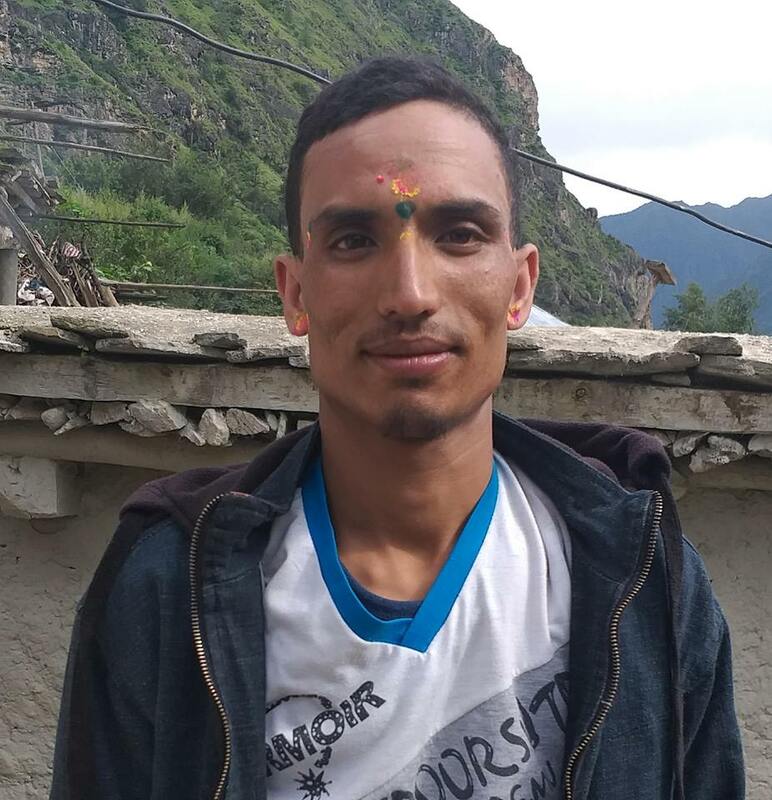 Krishna Prasad Adhikari of Gorkha Phujel was shot dead in 2004 June 6 by the former Maoist combatant while he was on the way to meet his grandparents in Chitwan . Senior advocate Babu Ram Giri said that government is being suspicious especially after the district court of Chitwan acquitted 12 accused out of 13. Campaigner Om Prakash Aryal pointed out that the environment to appeal international community is being created. Media personnel Kanak Mani Dixit said that Ganga Maya will be supported until she do not get justice.